Chromatic Club offers a variety of membership levels to meet the needs of members at all skill and age levels. Active Members: Adult musicians who perform at the highest level. They have the opportunity to perform at numerous recitals throughout the year. Recitals are followed by a formal reception, our hallmark that harkens back to our late 19th century origins. Once accepted, Active members pay annual dues of $25. Please apply for an audition. Chromatic Connection Members: Adult musicians who enjoy performing and meeting others with similar interests. Monthly gatherings are held in members’ homes and at selected outreach sites. Public performances are presented each spring. Once accepted, Chromatic Connection members pay annual dues of $25. Please apply for an audition. Collegiate Members: College students who continue to study and perform music at the highest level. 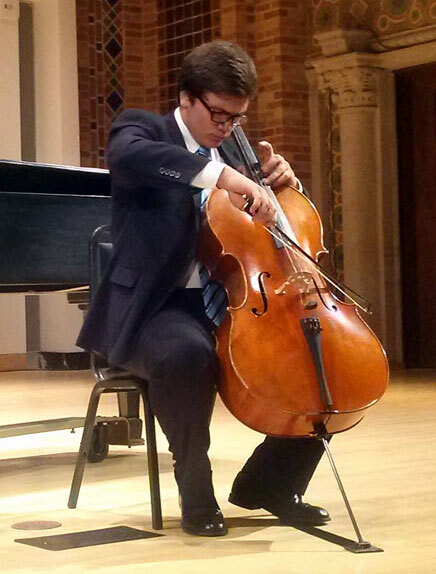 Although these members attend colleges, universities, and conservatories both near and far, they return home between semesters and in the spring to perform. $20 per year. Once accepted, Collegiate members pay annual dues of $20. Please apply for an audition. Student Members: Exceptionally talented school-age students who are engaged in the serious study of music–in school and privately. They perform the music they are studying in a series of recitals arranged by the student chairperson. Once accepted, Student members pay annual dues of $20. Please apply for an audition. Associate Members: Non‐performing adults who provide an invaluable service by supporting the musical and social functions of the club. An audition is not necessary for Associate Members. You can download the application here. Once accepted, Associate members pay annual dues of $25. Honorary Members: are members who have provided extraordinary service to the Club and have been selected by the unanimous vote of the Board of Directors. In 2012 the Chromatic Club Hall of Fame was established. Genia Las and Andy Anselmo were the first two inductees. For more information regarding membership, please email us at auditions@chromaticclub.com.